You can increase your privacy by using a search engine that do not give your IP address to bad guys, and offer also HPTTS. But , wait ! Google is the best for search ! So why not combine the privacy with best google service ? So first of all this search engine is owned by a European company ( no US jurisdiction) and offer HTTPS connection. See settings in top right corner. 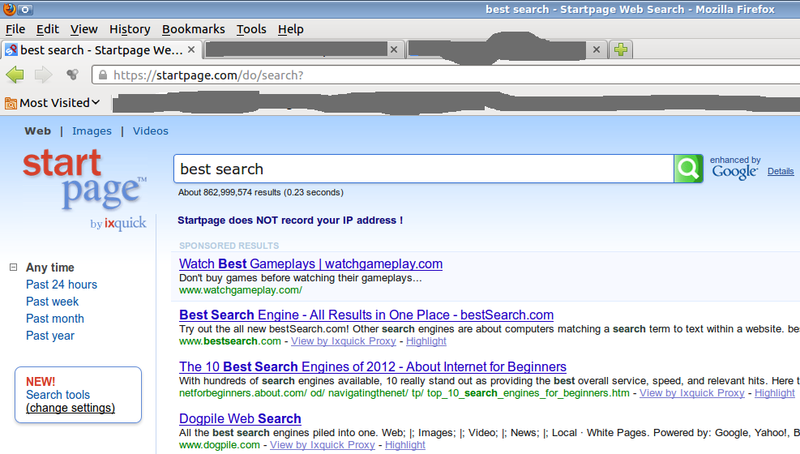 Also a Firefox plugin is available (HTTP and HTTPS ) so you can search directly from Firefox.